Another day goes by and still the children cry, put a little love in your heart, The world will be a better place. The Federal Reserve is illegal, but G Edward Griffin has no interest in defeating this creature. A new Global Business Model. It is free to ‘JOIN JOIN JOIN the LINE LINE LINE’ and reserve rewards. Mission: Enable North American Residents to transact stored energy (dollar of silver) and energy derivative (cryptocurrency) certificates without an intermediary, minimal fees and transparent knowledge with a Decentralized Coded Escrow Contract. it is free to ‘get in line’…. reserve your energy reward today! we never sell user data…. we need direct communication with Club members and we are giving away energy rewards for this access. Each Continent will have own Energy reWards distro, Proof of Location will be required in the future via EOSio. Decentralized Coded Escrow Contract Demo. There are 144+ people in Line NOW. Take a little bit of TIME to see the future. Everyone who joins, increases the network’s value! When you Join the King Dollar Club Line, you reserve your position into the United States Association Partnership (proof of North American Residency required when we launch). The USA Partners are the only people who can be beneficiaries of the King Dollar Trust. The King Dollar Trust enables North Americans to experience deferred income and no capital gains. The King Dollar Trust enables North American residents to transfer certificates for property held in the Trust via EOSio protocol (blockchain) using King Dollar Money Limited’s Decentralized Coded Escrow Contract. The “Federal Reserve” offers a game where the only way to win is not to play. Join our Network and Win. 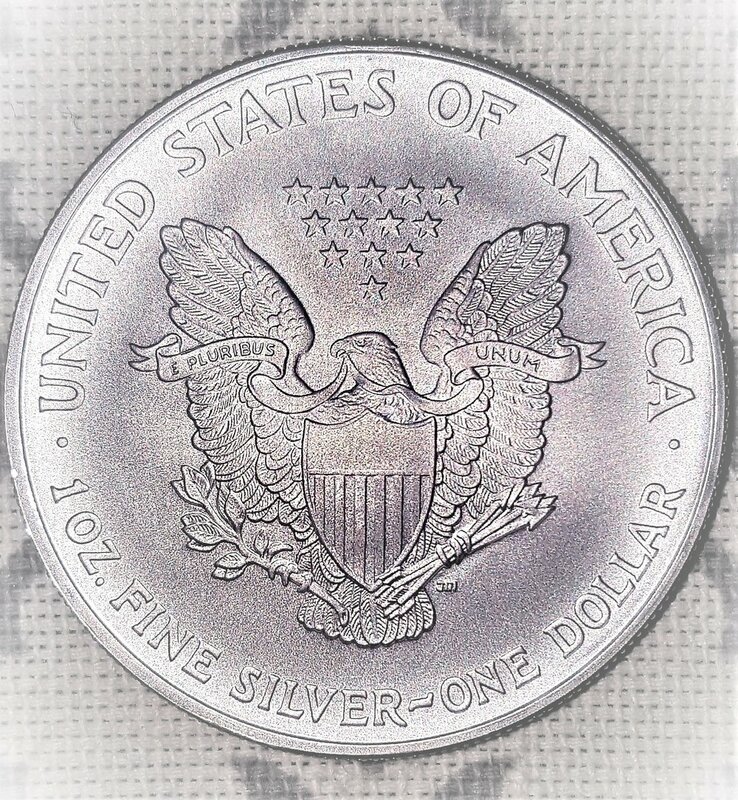 The legacy and history of Silver as wealth and currency. Strategic Metal of the Digital Age. The modernity of Distributed Ledger Technology. The protection of legal tender laws and the U.S. Constitution. The transparent flow of information and knowledge. The application of Game Theory to benefit the participants. Anti-Fragile due to industry demand for Silver. Skin in the Game, there is no free lunch until you are rewarded with a free lunch for your participation. Deferred Income when money is held in Trust until players withdraw. Withdraw Dollars of Silver but pay taxes in worth less Dollars of Debt. Always 1 to 1 backed certificates. YIELd Plus Yield! yes, two forms of non taxable Yield for King Dollar owners! Only decentralized exchange offering collateral in legal tender dollars for cryptocurrencies issued. King Dollar Money Limited is a Colorado registered U.S. Service Disabled Veteran Owned Business, a Limited Liability Company and Fiduciary for the King Dollar Trust and Silveren Trust. The King Dollar Trust is a member of the United Precious Metals Association in order to vault United States of America Legal Tender Silver Dollars. Silveren Trust is registered in Nevada offering blockchain based companies tax and regulatory benefits. King Dollar Money combines the legitimacy, accountability and security of silver legal tender with the transparency, flexibility and convenience of distributed ledger technology to create an authentic legal tender digital currency with SCARCITY. With the advent of King Dollar Money Limited, the objective of a transparent, legal blockchain medium of exchange has moved from theory towards viable implementation. This website summarizes the evolutionary program and provides a workable plan for placing a fully functional legal tender currency into the cryptosphere without vaulting or insurance cost to the owner. The King Dollar will manifest Executive Order 11110 authorizing Silver Certificates to circulate. Our Partnership plans to “airdrop” 1/3 of the rewards* created for distribution of the system transaction fees to those who Join the King Dollar Club. We have developed a new National Currency Model that benefits those that participate & uses Dollars of Silver as a primary currency (Strategic Metal) interconnected with specific cryptocurrencies. *25% of the transaction fees delivered to owners of Dollars of Silver held in the King Dollar Trust. **Energy reWards receive 73% of the system transaction fees, limited to 1,000,000.0000. ***Must own 20 Energy reWards or 100 King E Certificates. The Pharaoh Trust holds property for partners of the United States Association and the partners can exchange the certificates for the property linked 1-to-1 on a decentralized software protocol to ensure coded accounting. As property is held in Trust, this enables deferred income and no capital gains. A tax nullification. 1% of your future transaction fees delivered to local and state governance structure. Its a new model to compete with the banks! Do you play the Central Bank game of Debt-to-Death?